We’re given great imaginations because we are made in the image of God, the Ultimate Imaginer and Creator. Humans are still thinking up useful and creative gadgets and inventions to help our quality of life. When you’re a small child, your imagination runs wild and you play Cowboys and Indians, and all sorts of things. I did. My friends and I played westerns. I had a nice sized blackboard, and drew (I’m not an artist, but it looked OK), the shelves of a saloon with different liquor bottles on it. We had a little cash register, and some play money. It was fun. 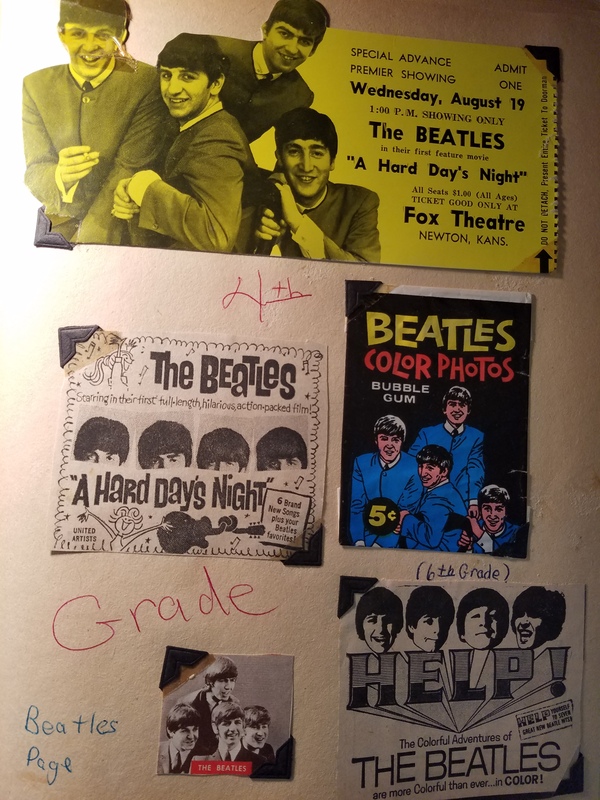 Once the Beatles came out, (I was ten), I set up three empty coffee cans as drums, and used tennis rackets for guitars. My twirler baton served as a microphone. I was shy as a child, so when I wasn’t in school, particularly in the summer, I would spend hours downstairs in the basement “playing.” I played “teacher” since my brother had brought home some old textbooks from elementary school. I pretended to be all sorts of different people, yet I never lost my grip on reality. But it was an “escape” for me. As an older teenager and adult, I began to act out less, and just let the scenes go through my mind. Hmmmm. I wonder if that wasn’t part of my writer’s training. My one weakness was watching hours of television. Because of my sensitive skin, I couldn’t go to the pool like everyone else did and stay the day. I’d have been sunburned to a crisp. So that became a natural division between me and schoolmates. And we didn’t have SPF factors in Coppertone back then. So, if I was forced by circumstances to be outside all day, it was T-shirt over the swimsuit, a large straw hat, a towel or blanket over my legs and feet. To protect me. It was bothersome, so generally, I stayed inside. At night, I wish could have stayed out longer, but when the sun went down, the mosquitos came out. And they loved me. Each bite looked like a boil, because I was slightly allergic to them. Oh well.